Ideal for heavy coats, dressing gowns etc - hang anything that weighs up to 3Kg. 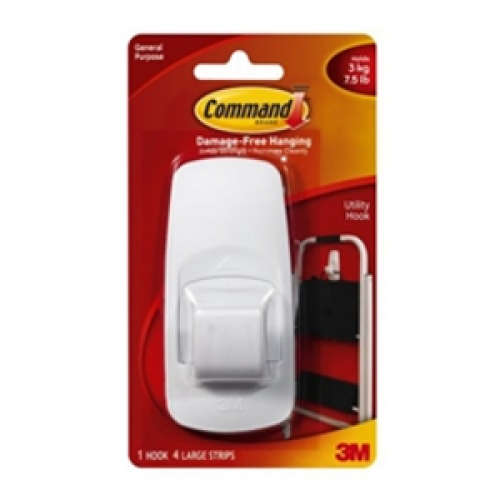 Includes 1 pack with 1 reusable hook & 4 large adhesive strips. Each hook holds up to 3kg (7.5lbs). Dimensions (HxWxD) - 105mm x 50mm x 30mm.